Bring calming feeling to any room with a Spiral Stick Bamboo. It's an elegant and natural way to bring good luck and good fortune in the life of your loved one. 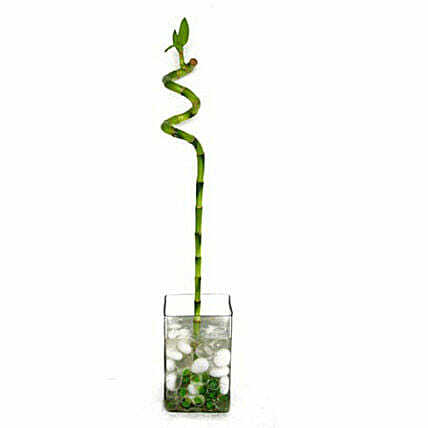 Make any day great with this tropical and elegant spiral bamboo plant.